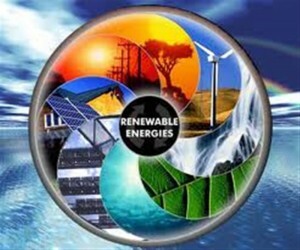 The most popular forms of Renewable Energy (R.E.) are solar and wind, so what do you do when the sun does not shine and the wind does not blow. These type of factors make up the variability of a renewable energy technology. A R.E. system’s variability depends on the consistency of the fuel source (sun and wind in the case of solar and wind energy) and the changes in demand of the grid through the day. There are two solutions for these issues: 1) choose one of the up and coming technologies that have continuous generation (geothermal, biomass, hydroelectric) or 2) install enough solar and/or wind technology to create more stability across the system. Once the level of energy created is stable, the fluctuations from the grid will be managed more easily. 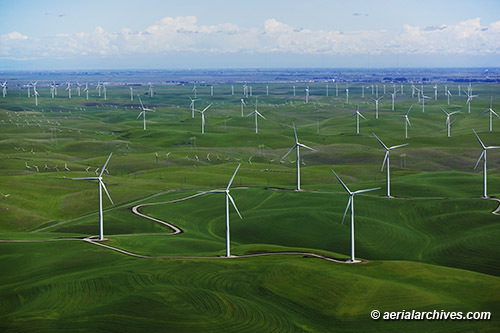 A single wind farm can be very volatile but when you add additional farms across a state with additional transmission lines, it creates less of a need to “curtail”, the act of dumping excess power. Take Texas for example. Four years ago, facing severe transmission constraints, the state was dumping 17% of all the wind power it produced. 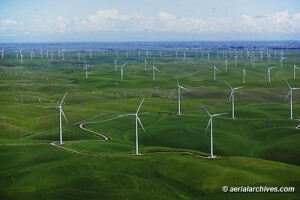 In 2012, after adding more wind farms and almost 2,600 miles of transmission lines, curtailments were below 4%, and wind power provided 10% of the electricity in the nation’s biggest power market (sourced from www.wsj.com). Alternate technologies such as biomass, geothermal and hydroelectric offer a constant power generation since they have a predictable fuel source. For example, biomass products are abundant and renewable. 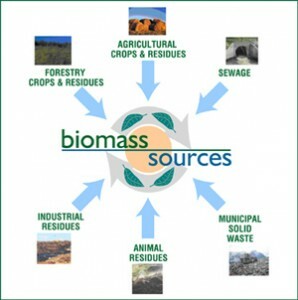 Since they come from living sources, and life is cyclical, these products potentially never run out, so long as there is something living on earth and there is someone there to turn that living things components and waste products into energy (http://www.conserve-energy-future.com). 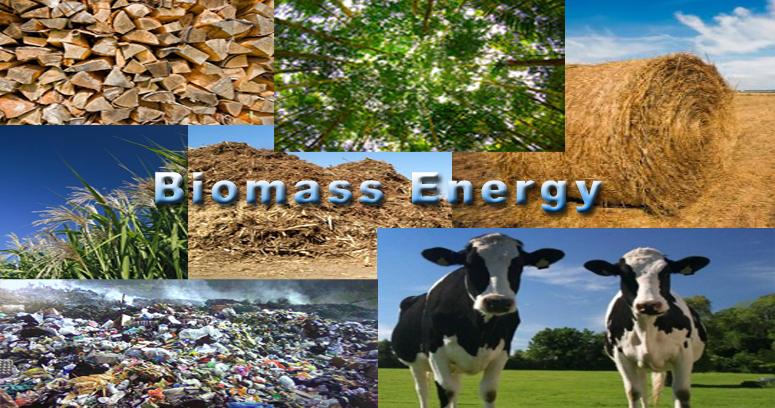 Having a steady fuel source means a biomass gasification unit or anaerobic digester, two examples of several biomass technologies, will provide a steady source of energy. A lot of people want to use the out of date argument that Renewable Energy (RE) Technologies do not hold their weight in the energy industry. Well that argument is, in fact, outdated. The advances made in the past few years in this industry have made renewable energy gain steady footing in the world of heat and power. Renewable Energy provides the US with nearly 14% of its energy supply, The entire nuclear fleet in the US only produced 19%. 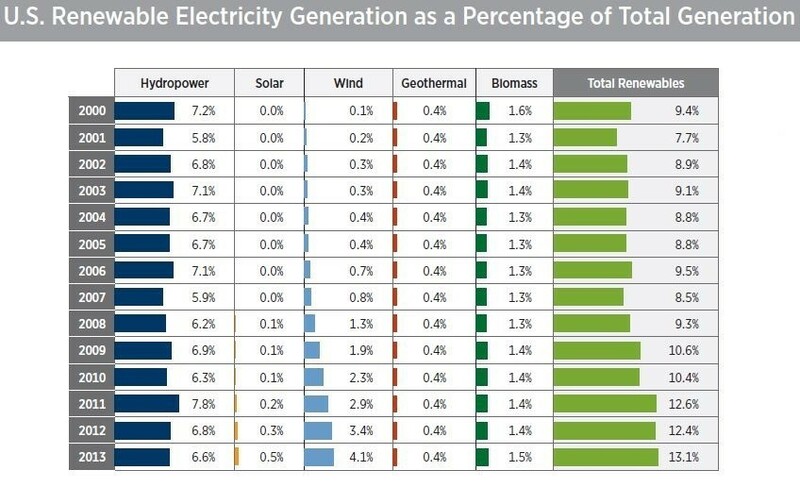 Also in 2014, 22% of the United States’ electricity consumed was from a renewable energy source (instituteforenergyresearch.org) This shows how renewable energy is quickly catching up to the big boys. Expert projections also show very promising numbers with wind expected to increase 13% this year and an additional 11% in 2016. Solar is expected to increase by 84% in 2016. (sourced from http://breakingenergy.com) The above chart shows the increase by RE Technology for the past 13 years. Another factor that will aid in the significance and establishment of renewable technology as a major power source is the increased investment. In 2014 alone, the United States invested $51.8 billion in clean energy, a number expected to increase, according to the Business Council for Sustainable Energy. Studies show that investment in renewable energy has increase 250% since 2004 (www.americanprogress.org). This investment aided by incentives and continued research and development will continue to make the various technologies more affordable and available to the American consumer, allowing RE to grow its influence on the US energy market. For most people, the term gasification is not necessarily what comes to mind when renewable energy is mentioned. However, it is quickly becoming one of the most important players in the renewable energy game and gaining momentum worldwide. The age of the gasification technology will surprise most of you, but first, a quick explanation of the gasification concept. (sourced from http://www.nndb.com/) Jean Baptista van Helmont took the first step toward gasification. Gasification is the process of breaking down carbon-based materials into a high-energy gas by applying extreme temperatures in an oxygen-starved environment. 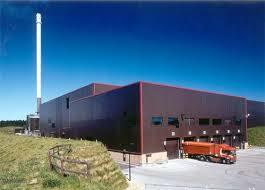 The gasification process significantly reduces harmful emissions compared to either incineration or landfills. The resulting product is Syngas – a flexible, local fuel source that is significantly cleaner than fossil fuels. 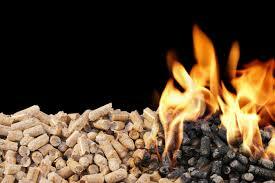 The process of gasification has been in existence for over 400 years! 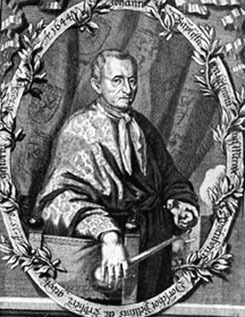 In 1609, Jan Baptista Van Helmont, a Belgian chemist and physician, discovered that gas could be produced from heating wood or coal. Following this discovery, several others aided in developing and refining the gasification process. Advances continued until it became widely used in the 1800’s. Coal and peat were originally burned to produce gas for lighting towns and cooking. However, the use of natural gas pushed aside the gasification technology until the World Wars broke out. With the shortage of natural resources such as petroleum, countries like Germany were forced to pick up old energy production methods. 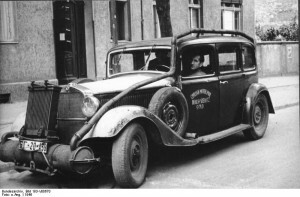 Various European countries developed wood gas generators that powered motor vehicles all over Europe. It is estimated that by 1945 over 9 million vehicles were powered by wood gas! 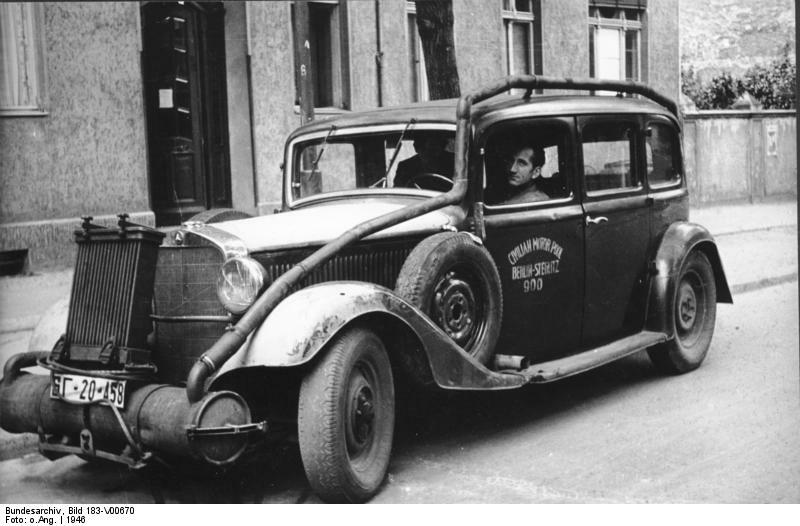 (sourced from http://www.svvs.org) A wood gas powered car from 1946. After the wars, the technology slipped away without the immediate need the wars had created since fossil fuels were once again readily available. Throughout the 70’s and 80’s, countries that faced fossil fuel crises continued exploring and advancing the concept. South Africa was a main contributor during these decades due to a Middle East oil crisis. Gasification reappeared in the US during the 70’s natural gas shortage. However, it was not until the 90’s, with the volatility in the Middle East, that the concept of gasification experienced a renaissance. Since then, it has taken hold world wide as one of the main pieces of the sustainable puzzle offering gasification systems from 20 kW to 50 MW. With visionaries such as Waste to Energy’s own CEO, Richard Woods, gasification is quickly finding its place in the US plan of a renewable, sustainable future. 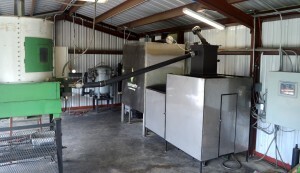 WES bioHearth® system is pictured above.